DEF Benefit Concert at Eddie's Attic! Join us for a great night of music ! Local favorites Caroline Herring, Diane Durrett, Kodac Harrison and Sydney Rhame take the stage on August 8 at Eddie's Attic in a first-even benefit concert for Decatur Education Foundation. Become a fan of The Decatur Education Foundation and stay current on the latest events and happenings! Mingei World Arts Celebrates the Fourth! Last chance bargains and special sales! Have you decided where to watch fireworks and what to throw on the grill? 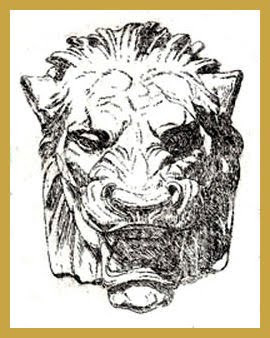 Make sure you swing by Mingei sometime this weekend, too! We are planning a sale, and you won't want to miss it. Don't forget to print and click the coupon below, too! Sale runs Friday through Monday, July 2-July 5. We'll have a table outside with some last chance bargains. Olympic messenger bagMade by Maria Giraldo Echeverria, a talented seamstress from Colombia, these useful totes and messenger bags are repurposed from canvas banners that have flown over Decatur during festivals past. The Olympic bags from 1996 are just right for the Fourth. 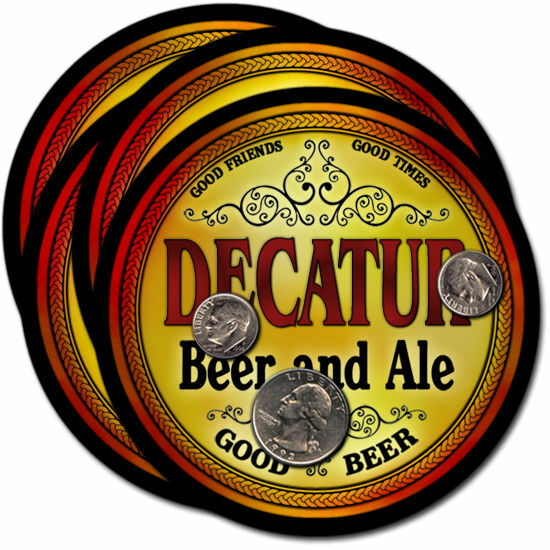 10% of each sale will be donated to the Decatur Youth Fund. Take a bit of history home! 20% off Friday through Monday only. kimono detailIt is time to clear the rack. Our vintage, all silk, hand-made kimonos and haoris will be even more of a steal this weekend. These gorgeous, collector's pieces can be worn to dinner and then hung back up on the wall. The stunning geisha's performance kimono, shown in detail here, is included in the sale. Time for fireworks! pearls Our fresh water pearls in many many colors are a Mingei staple. Even people who say they've never liked pearls much before love these "potato" pearls-- irregularly shaped, iridescent lovelies. And they are so affordable! Long strands or "shorter "floaty" necklaces are just $36 each, and we have earrings to match, either studs or danglies. We are getting ready to send for more pearls, so it is time for a sale! 20% off, Friday through Monday only. South Africa by Putumayo Dance to a world beat this weekend with some new selections from Putumayo music or another of the assorted world music we carry, including CD's from Cultural Cornerstones. UPS has come up with a great idea, they have created a new luggage box. It's for the travelers to use instead of luggage and then they can ship prior to travel, this way you avoid all the hassles of the airport screening and safe on baggage charges. 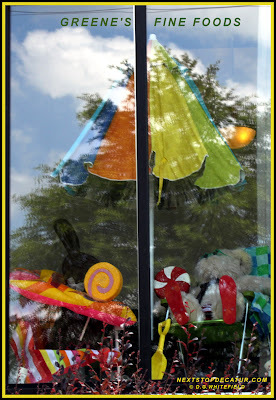 Remembering Plaza Drugs on Ponce de Leon Ave.
Decorate your bicycle, skateboard, or wagon and join the Pied Piper Parade as it winds through downtown Decatur. Concert on the square features the Callanwolde Concert Band. 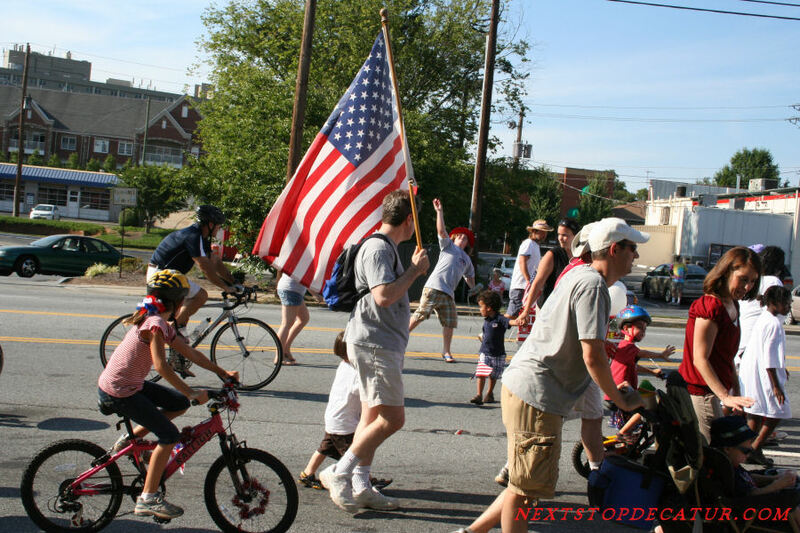 Parade 6 p.m.; Concert 7 p.m.; fireworks at dark*. Sponsored by Decatur Business Association. Free. We are offering a 20% discount to all loyal customers who have any framing needs. In addition, we have many beautiful works of art for you or for gifting to someone you love. Please keep us in mind if you need a gift for a birthday, graduation, shower, etc. A gift of framing or artwork is a lasting impression and a lasting gift. hours Wednesday thru Saturday from 10a.m. to 5p.m. We realize times are hard for all of us. But should you be able to lend us support, please do so. Hours: Wednesday thru Saturday from 10a.m. to 5p.m. 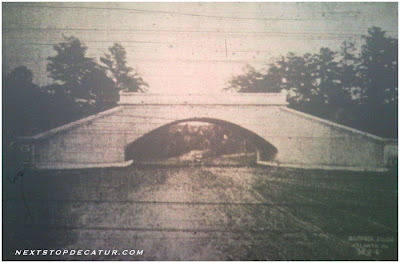 Photo shows a 1927 image of the underpass on Ponce de Leon Ave.
where you enter and leave Decatur. Photo courtesy of Seaboard Railroad. The Duluth landmark for more than 40 years was forced to close down after the owner of the Rexall Grill part of the Rexall Drugs failed to pay state taxes. The owner of the building plans on taking over the grill and said they would have a sale on July 6 to help pay off some of the tax bill. The owner who owns the building expects to reopen sometime after July 6 , the owner said she would take over all financial operations and retain the employees. The Rexall Drugs have had hard times before and bounced back. my dog (Lady) would chase it down and bring it back to me. 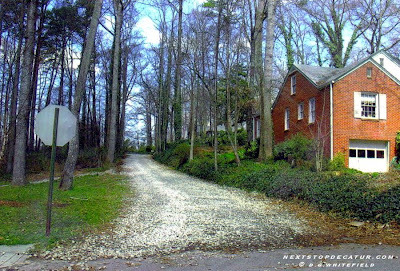 I will truly miss all the memories of the old dirt road. Photo is @ E.Davis St and College Pl. until they built that track field. KIDS UNDER 12 FREE AT 1:00 MATINEE! EVERYONE ELSE ONLY $7. ALL TICKETS ARE $10 FOR THE 10:00 SHOW! 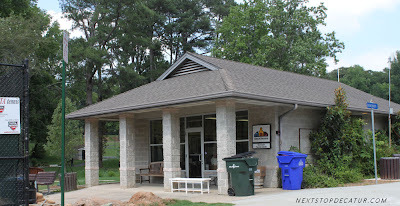 On a recent visit to Villa Rica, Ga. I found out that The Cinema Tavern building (formerly The Sports Cafe) plans on turning their old theatre building back to look like a theatre. 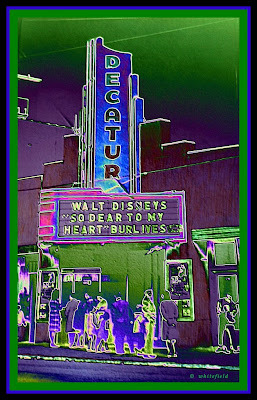 This made me think of why Decatur does not have a theatre. 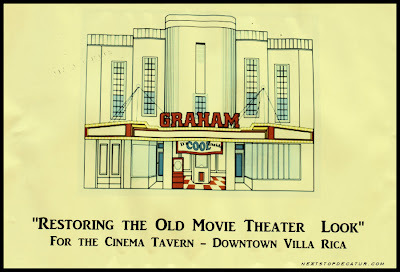 Here is an idea, build a small theatre in the old Decatur Theatre location and Eddie's Attic could co-own it and let them book the acts to perform there. 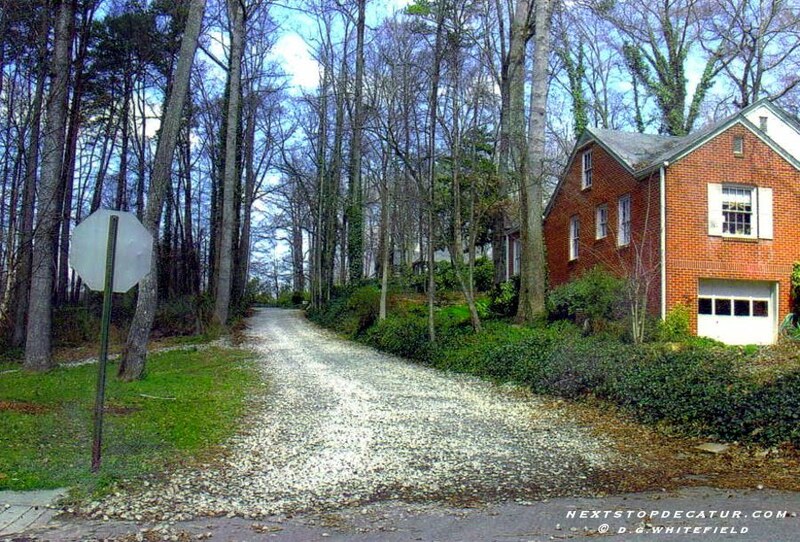 It could also be used as a movie house to show special movies sort of like The Stand in Marietta does. And build it to look like it's been theatre a long time. "The Decatur" that sounds like a good name for it. Can I dream or what. 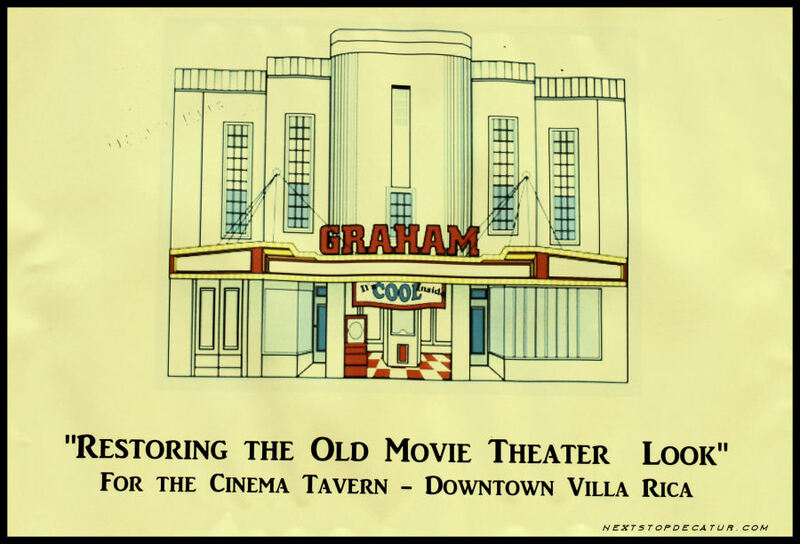 The old Decatur Theatre was located in that parking lot next to Eddie's Attic. 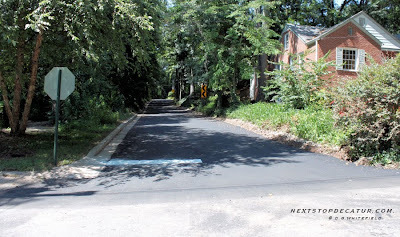 Decatur, where they say it's greater, is an excellent place to learn Confident City Cycling with the Atlanta Bicyle Coalition! On Saturday, July 17th, ABS will offer a bike class for those who want to learn to " drive" their bikes. Driving your bike refers to riding on the street safely, predictably, with confident courtesy. This is the perfect introduction to driver education for teens. It also teaches something more important, and vital to our movement: empathy. Time and time again people tell me, " I never really understood how to interact with cyclists until I started riding a bike in the street." There is no substitute for experience! So come out to Decatur, bring your teen or anyone else you would like to gain confidence on their bike. DeKalb County commissioners on Monday approved changes to the midyear budget that will keep two recreation centers in operation that were headed for closure and won't raise taxes. However, county officials still need to juggle cost items or make more cuts in the next few weeks. The vote kept open the Lucious Sanders Recreation Center in Lithonia and the Mason Mill Center, action that attracted dozens of spectators. About 100 seniors, many wearing red T-shirts, came to oppose cuts to recreation programs. 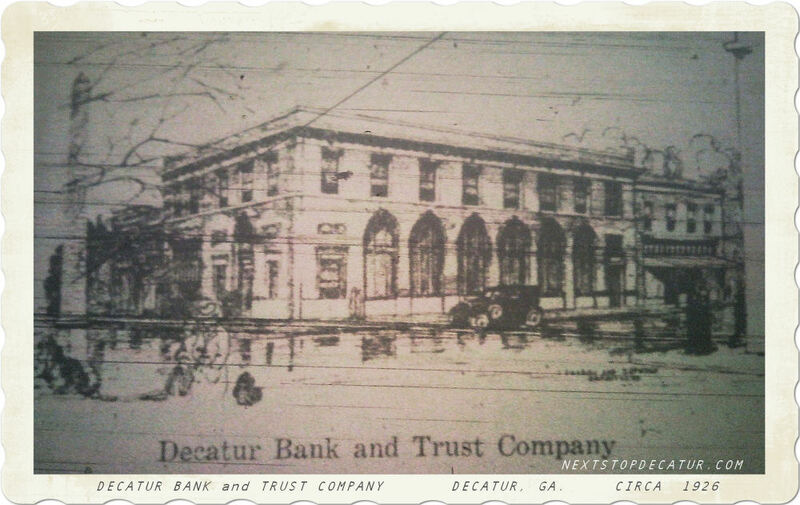 HomeGrown Decatur announces its plans to open at 412 Church Street in the space formerly occupied by That Pottery Place. HomeGrown will serve as a market and gallery space for local artists, artisans and craftsmen to showcase their work. An emphasis will be placed on green and eco-friendly art. 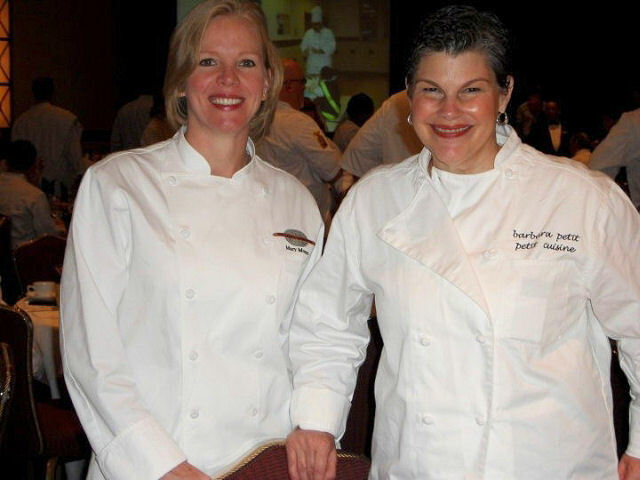 Decatur residents and co-owners Lori Ronca and Beth Thompson plan on an August opening. Classes will be offered, as well as monthly art openings and special events. Student art shows will feature talented young people from the surrounding area. 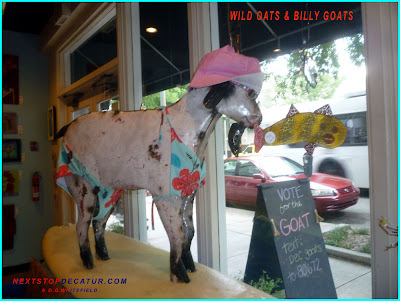 Beth Thompson comments, "We look forward to providing a fun and eclectic shopping experience for our customers while creating a thriving market to showcase the unique talents of local artists. Being able to bring the store to life in our beloved hometown is a priceless benefit of living in this amazing community." Lori Ronca adds, "Emerging, independent artists in Atlanta will find a home here- an opportunity to network with other artists as well as a venue in which to show and sell their work while providing the community an ever changing selection of art and locally produced products." 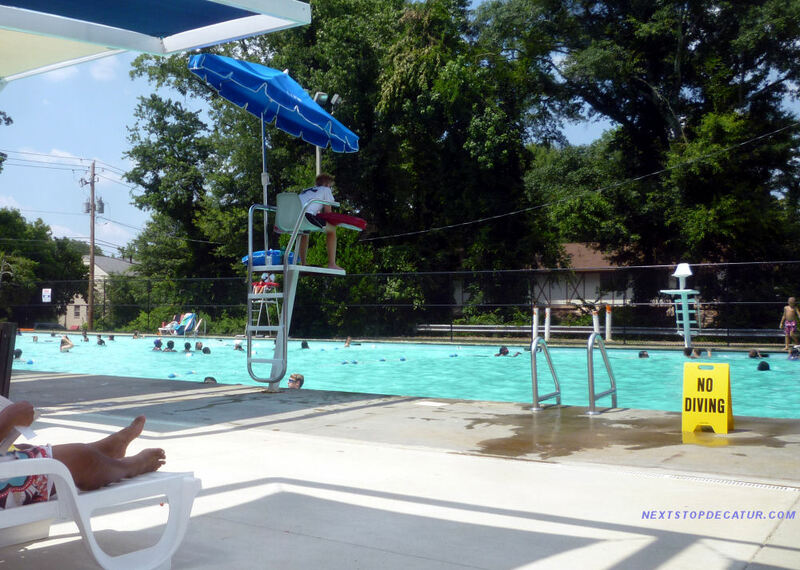 The largest pool in Decatur, Glenlake is also the busiest. It offers snack areas, patio for enjoying the sun, shade shelter, and shallow water for little ones. Located on Church Street, one block north of Commerce Drive. 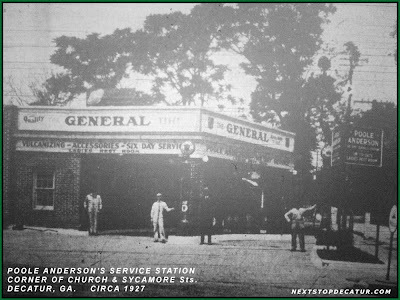 Poole Anderson's Service Station slogan was : "Let us Fix you up in Good Order"
To give you an idea where this was located, it was located across the street from the Decatur MARTA station entrance. --- Corner of N.McDonough St & Sycamore St.
An industry source tells us that it looks like the latest installment in the “Fast and Furious” empire will do some filming in the metro Atlanta area. The Filmofilia site reported that the plot will involve Dom (Diesel) and Brian (Walker) as “fugitives being pursued by legendary lawmen.” Hmm. Intriguing. Decatur brings in 60 tons of sand and turns the square into a beach for this annual event. Dance in the streets to the beach music from the live band. Activities include children's boardwalk games, face painting, wading pools in the sand and more. Adults $6.50 in advance, available for online purchase here, and $10 at the gate; children 12 and under, free (limit two children per paying adult). No coolers, glass or pets allowed. Sponsored by Decatur Business Association. Proceeds from this annual fundraiser benefit downtown improvement projects. June 17th - 24th. Presented by AM1690. 40th Anniversary newly restored 35mm print! A project that will remake the bulk of downtown Avondale Estates -- and give it its sole grocery store -- is back on. A proposal to bring condos, shops and a Publix grocery store to a four-block area of the small DeKalb County town has been stalled since 2009, when the developer was unable to get funding for the work. Century Retail recently told city leaders it has obtained the required re-financing and will present a timeline of the work later this summer. Pam Grier, hailed by Quentin Tarantino as cinema’s first female action hero, will sign her new memoir, Foxy: My Life in Three Acts, on Wednesday, June 16, at 5 p.m. at Outwrite Books in Midtown. From hiding guns in her giant afro in Foxy Brown to her GLBT-friendly portrayal of Kit Porter on the Showtime hit The L Word, Grier’s eclectic career is by design. Along with recollections of her 40 years in film and television, Grier also writes about her tumultuous love affairs with Kareem Abdul-Jabbar, Freddie Prinze and Richard Pryor and her battle with cancer. 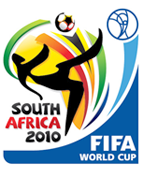 World Cup HeadquartersTwain's will be opening at 9:30 am throughout the tournament whenever there is a 10:00 game, offering our full brunch menu each morning. 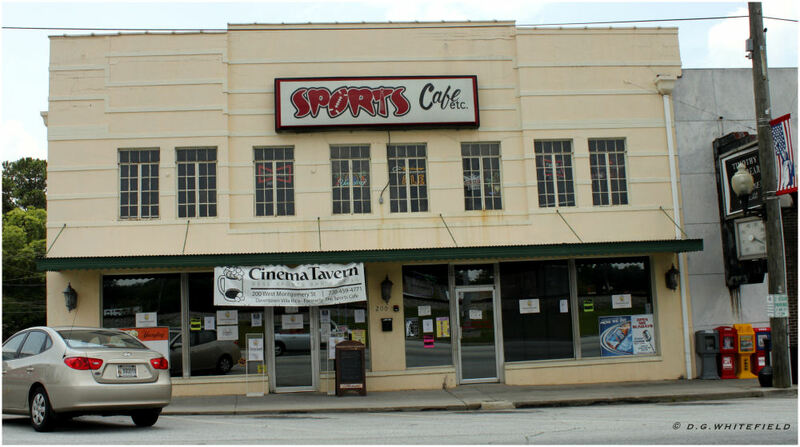 Share the excitement at Decatur's World Cup headquarters! 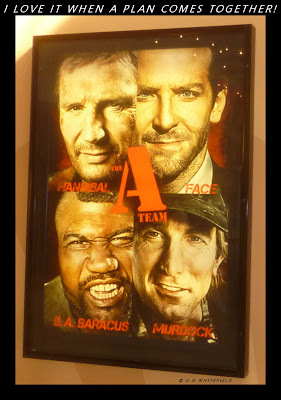 I Love It When A Plan Comes Together for a Great Movie ! This will be one of the Big Summer Movie Hits. A Florida developer’s bid to remake the GM plant in Doraville, declared dead just the night before, showed a flicker of life Tuesday. DeKalb County officials insisted they are repairing a broken contract between GM and developer New Broad Street, and that the $36-million redevelopment project at GM's shuttered Doraville plant is still moving forward. But county commissioners and Doraville officials, who must approve the project, say they are not willing to support a tax increase to fund the project, especially when they have been left out of the loop in its planning. ATLANTA, June 9, 2010 – Mary S. Moore, founder and CEO of The Cook’s Warehouse, Friday (June 4) joined chefs from Atlanta and around the country on the South Lawn of the White House to launch the “Chefs Move to Schools” program of First Lady Michelle Obama’s “Let’s Move!” campaign. The aim of Let’s Move! is to end childhood obesity within a generation. The Chefs Move to Schools program is an outreach opportunity for chefs around the country to adopt a local school to help solve the childhood obesity epidemic. Les Dames is a worldwide philanthropic society of professional woman leaders in the fields of food, fine beverage and hospitality. Moore is the current treasurer of the international organization and incoming first vice president in October of this year. The Cook’s Warehouse has a long history of supporting the farm-to-school movement through community gardens and cooking classes. In November of 2009 it expanded its commitment with a daylong seminar for Decatur City Schools’ cafeteria staff, demonstrating fresh-food cooking skills and talking about farm-to-school opportunities. The second class in this series is later this month. “We are going to need everyone’s time and talent to solve the childhood obesity epidemic and our nation’s chefs have tremendous power as leaders on this issue because of their deep knowledge of food and nutrition and their standing in the community. I want to thank them for joining the Let’s Move! campaign. “Chefs Move to Schools will pair chefs with schools in their communities to bring fun to fruits and vegetables, and teach kids about food, nutrition and cooking in an engaging way. And by working with school food-service employees, administrators and teachers, chefs can help deliver these messages from the cafeteria to the classroom. After hearing fifth graders cheer for broccoli, I know firsthand that chefs can have a huge impact on kids’ health and well being. “You know the joy of cooking for others, that passion that you get, the sense of camaraderie, the understanding and fulfillment that comes with seeing folks gathering around a dinner table, not just enjoying a meal, but enjoying fellowship. That is power. The Chefs Move to Schools is led by Sam Kass, White House sous chef and the food initiative coordinator. He oversaw the groundbreaking of the White House Kitchen Garden more than a year ago where local students have spent time on the South Lawn planting seeds, harvesting vegetables and learning about health and nutrition along the way. “Through the garden, the First Lady started a discussion on the role food plays in living a healthy life. The discussion grew into the Let’s Move! campaign and like the garden, we just keep on growing. “Today, I’m excited to announce the Chefs Move to Schools program – an opportunity for chefs around the country to adopt a local school to help solve the childhood obesity epidemic,” said Kass. Chefs and schools that are interested in participating can sign up through www.LetsMove.gov. A storytelling series about pioneer life, including children’s chores and entertainment, will return to the DeKalb History Center this month and next. Fran Frantz will weave the stories and offer frontier crafts every Wednesday between June 16 and July 28. The events run from 10 – 11:30 a.m. at the historic Biffle Cabin, 720 W. Trinity Place. 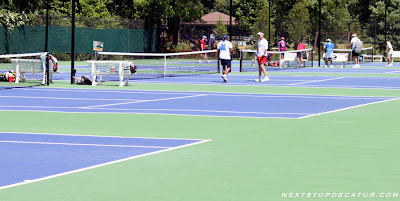 The programs, for children ages 6 and 12, are $6 per session. For more information or reservations, call 404-373-1088, ext. 20 or send an e-mail dhs@dekalbhistory.org. 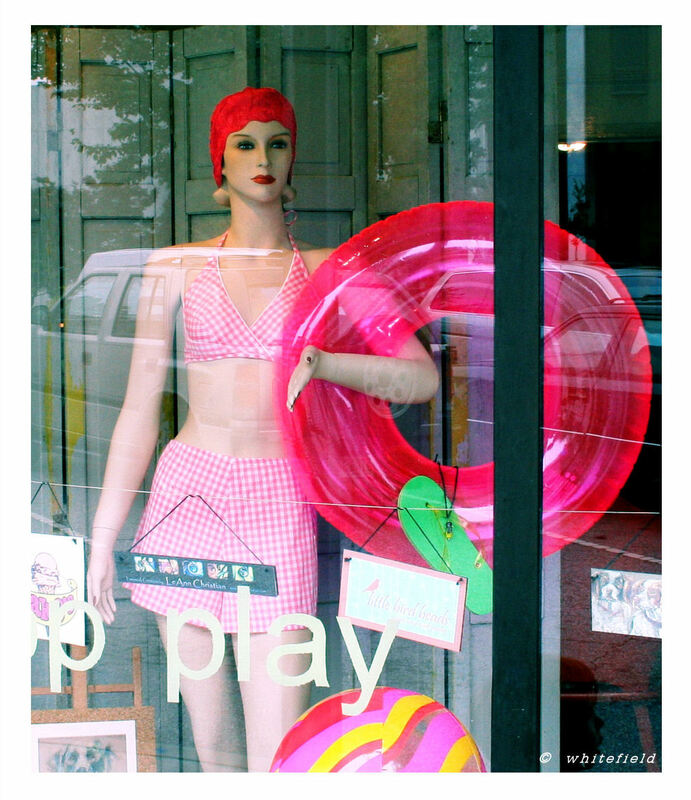 Here are just a few of the many Beach Party themed windows. People's Choice! 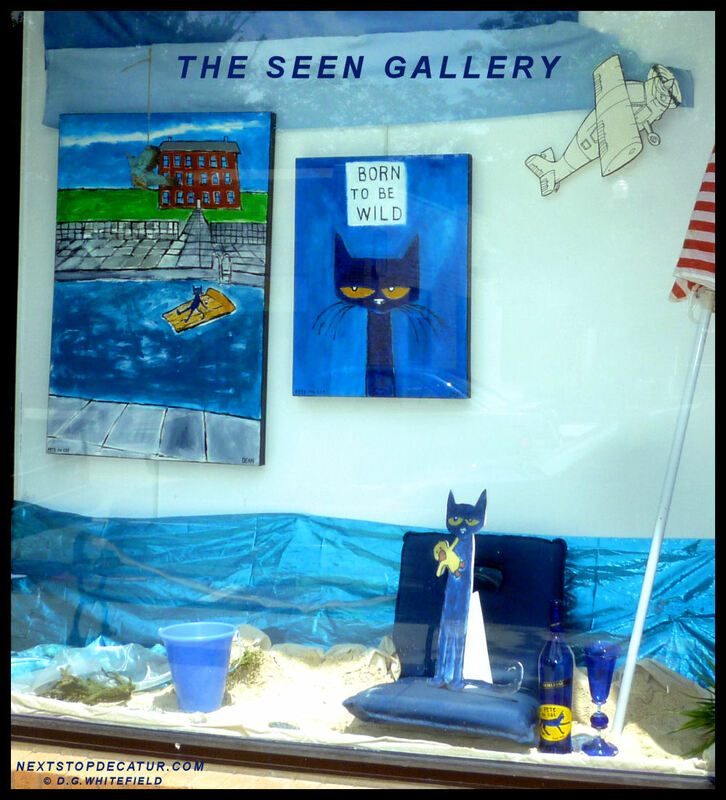 Text to Vote for your favorite shop window. Visit the following shops and restaurants and check out their Beach Party themed windows. If you like a particular window design, text the code found on the window sign to 80672. Text to Vote is free, however normal text charges from your carrier may apply. Limited to one vote per hour from a single number. 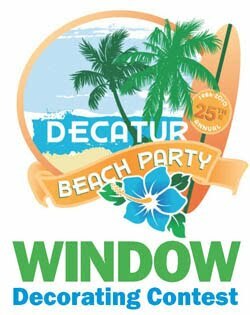 The winning window will be announced at the Decatur Beach Party on Friday, June 18.
visit http:thedecaturminute.com for more info. 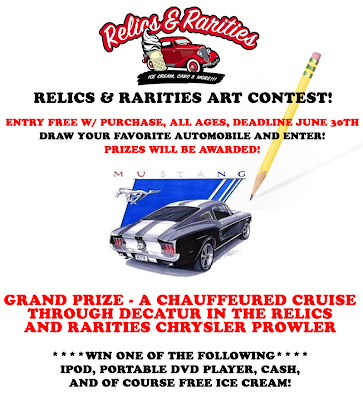 Also visit us online at www.relicsmuseum.com! 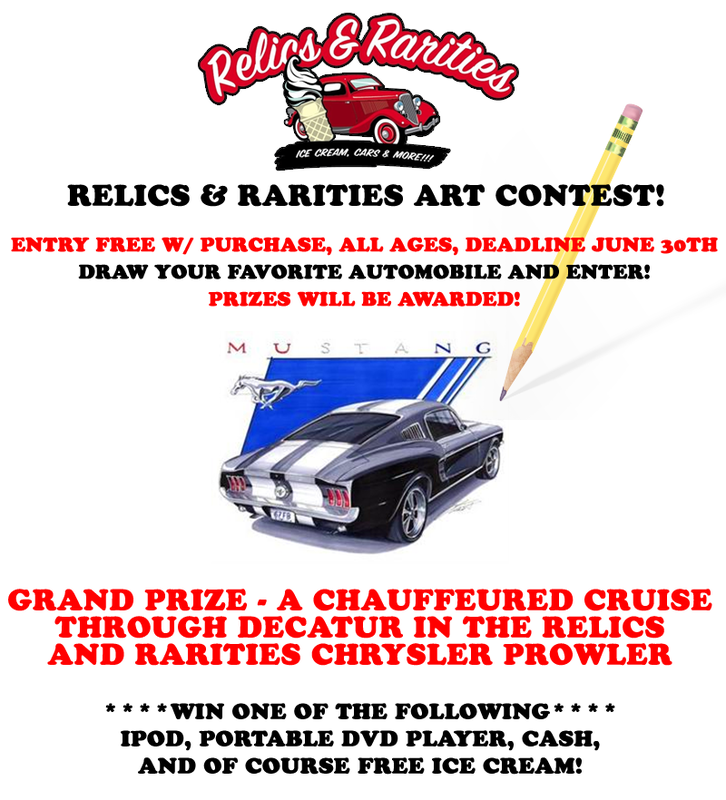 just draw your favorite automoblie and enter. 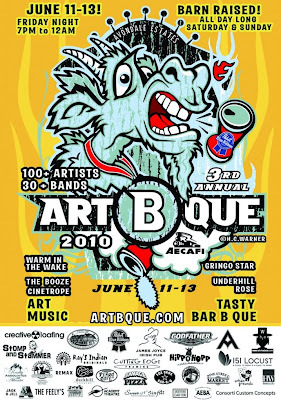 Yard Sale 2010 Promo---- Are You Ready ? The Decatur High School class of 1955 invites DHS alumni, family members, and friends to an evening of live entertainment by the Roswell New Horizons Band. 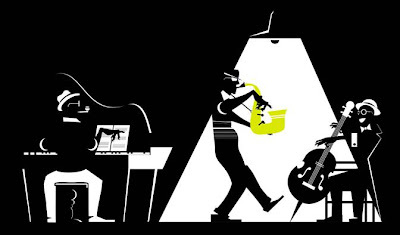 for an evening of swing and big band tunes by the Jazz Band and vocalist. If you love music you will want to make this event! Tickets are just $3.00 (payable at the door). Above is a reminder of the 'Swing Band Concert' being held a week from today, Friday, June 11 th at the new Decatur High Performing Arts Center (aka the new DHS Gym and Auditorium). Tickets are available at the door for only $3.00. Take your honey out to dinner and then dancing! How's that for a cheap date! Invite your friends and neighbors and come sing and swing with us! There is ample and free parking located behind what we remember as 'Girls' High'. Drive down Commerce Street until you pass the new football field and stadium on your left. Parking lot entrance is immediately on your left. Set of 4 neoprene rubber drink coasters. Coasters are 4 inches in diameter and approx ¼ inch thick..
100% Original and exclusive design. Coins are for display only and are not included. The Decatur Downtown Development Authority and Decatur Business Association are hosting the first ever Decatur Window Decorating Contest starting this Friday, June 4. 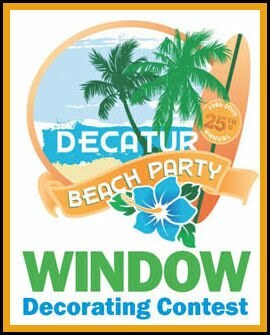 Participating shops will decorate their windows with a Beach Party theme, and shoppers can vote for their favorite windows using a text to vote service during the next two weeks leading up to the Beach Party. 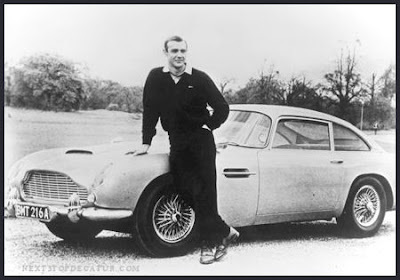 Sean Connery standing next to the famous Aston Martin DB5. LONDON (Reuters) - James Bond's 1964 Aston Martin DB5, dubbed by auto auctioneers RM Auctions on Tuesday as the "world's most famous car," will go under the hammer in London in October and is expected to fetch over $5 million. It is one of two, and the sole remaining, of the original "007" DB5s that appeared on screen with Sean Connery behind the wheel in "Goldfinger" and " Thunderball ," RM Auctions said in a statement. It will be auctioned on October 27. 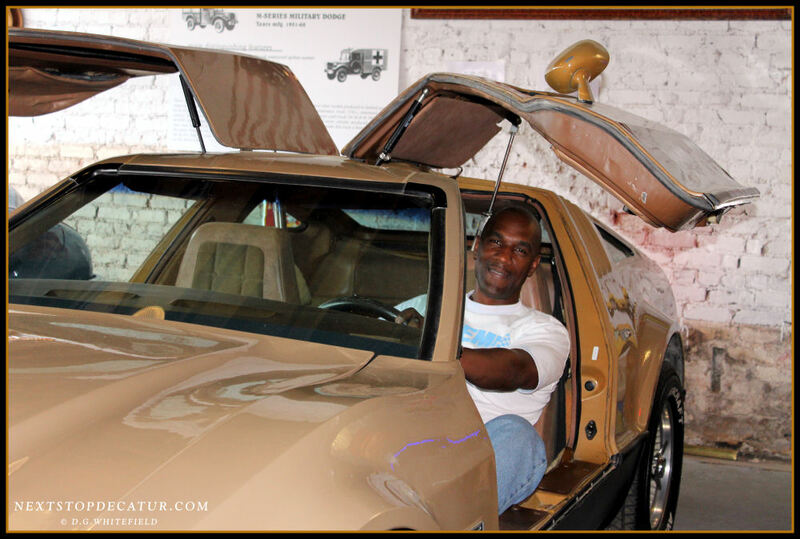 Side note: Back in 1965 when Goldfinger was released they had the famous Bond car on tour. My brother and I went to see the car at Briarcliff Village Shopping Center that mall was an open air mall like the original Lenox Square Mall. The guy who was there was the stuntman who crashed the car into a wall in Goldfinger. Wells Fargo & Co., which acquired Wachovia Corp. little more than a year ago, has added 300 jobs statewide in recent months -- 200 of them in metro Atlanta -- as part of strategy to grow and improve service. The San Francisco-based bank, which plans to continue hiring, has focused on beefing up its teller ranks, but it also is increasing the number of branch managers and specialists such as loan officers, Jerome Byers II, Wells Fargo's Atlanta regional president, told The Atlanta Journal-Constitution. Look for a name change on Decatur's Wachovia buildings to Wells Fargo in Oct.
along with nearly 280 Wachovia banks in Georgia. Avondale Estates will host an outdoor movie this Saturday night in Willis Park. The movie this Saturday is “Night at the Museum” this will be the first one in a summer series of movies and concerts co-hosted by the Avondale Estates Business Association and the Avondale Community Club. The first 100 families will receive a reusable bag full of promotional material from Avondale Estates Businesses. Everyone is welcome. 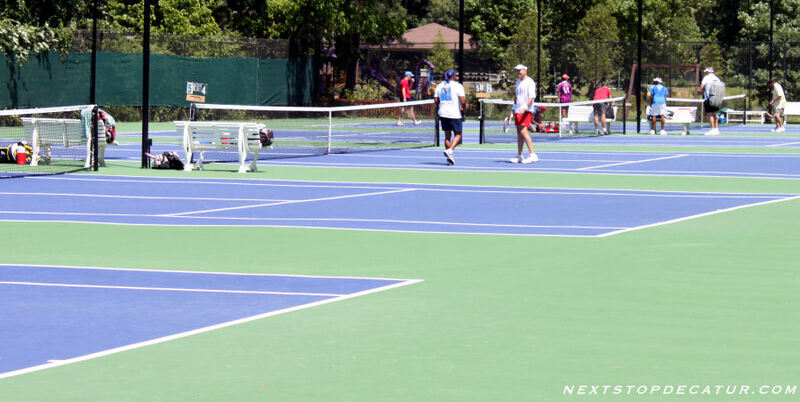 Willis Park is located on Dartmouth Avenue, right next to the Avondale Swim and Tennis Club. Please check the website for more details. 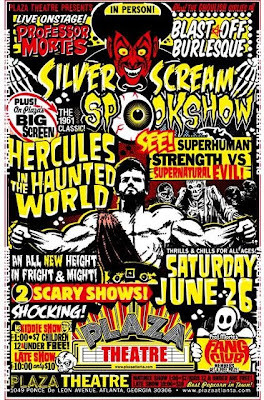 Movie begins at 8 p.m. Saturday at the park, location is Dartmouth Avenue. It's free.